Clay Marzo has an almost preternatural gift with a surfboard. From his first moments underwater (he learned to swim at two months old) to his first ventures atop his father's surfboard as a toddler, it was obvious that Marzo's single-minded focus on all things surfing was unique. But not until late in his teens, when this surfing phenom was diagnosed with Asperger's syndrome, did the deeper reasons for his obsession-and his astonishing gift for surfing-become clear. 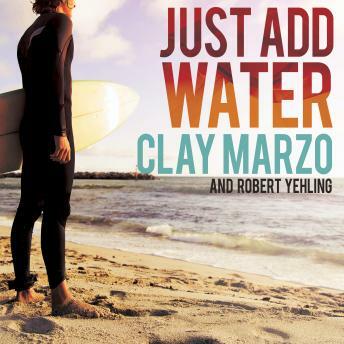 Just Add Water is the remarkable story of Marzo's rise to the top of the pro surfing world-and the personal trials he overcame in making it there. Marzo endured a difficult childhood. He was a colicky baby who his mother found could be soothed only with water. Later, as he entered school, his undiagnosed Asperger's made it tough for him to relate to his peers and fit in, but his relationship with the wave was elemental. Marzo could always turn to surfing, the only place where he truly felt at peace.